4152201 4B15 KOMATSU 4B15 Skid Steer Loader. Spare Parts Catalog. Service (workshop) Manual. Operator's Instruction Manual. 4152202 4B17 KOMATSU 4B17 Skid Steer Loader. Spare Parts Catalog. Service (workshop) Manual. Operator's Instruction Manual. 4152203 4B19 KOMATSU 4B19 Skid Steer Loader. Spare Parts Catalog. Service (workshop) Manual. Operator's Instruction Manual. 4152204 E30-2 KOMATSU E30-2 Skid Steer Loader. Spare Parts Catalog. Service (workshop) Manual. Operator's Instruction Manual. 4152205 PS15 KOMATSU PS15 Skid Steer Loader. Spare Parts Catalog. Service (workshop) Manual. Operator's Instruction Manual. 4152206 SK04-1 KOMATSU SK04-1 Skid Steer Loader. Spare Parts Catalog. Service (workshop) Manual. Operator's Instruction Manual. 4152207 SK04-2 KOMATSU SK04-2 Skid Steer Loader. Spare Parts Catalog. Service (workshop) Manual. Operator's Instruction Manual. 4152208 SK04J-2 KOMATSU SK04J-2 Skid Steer Loader. Spare Parts Catalog. Service (workshop) Manual. Operator's Instruction Manual. 4152209 SK05-1 KOMATSU SK05-1 Skid Steer Loader. Spare Parts Catalog. Service (workshop) Manual. Operator's Instruction Manual. 4152210 SK05J-1 KOMATSU SK05J-1 Skid Steer Loader. Spare Parts Catalog. Service (workshop) Manual. Operator's Instruction Manual. 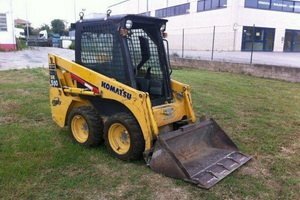 4152211 SK05J-2 KOMATSU SK05J-2 Skid Steer Loader. Spare Parts Catalog. Service (workshop) Manual. Operator's Instruction Manual. 4152212 SK07-1 KOMATSU SK07-1 Skid Steer Loader. Spare Parts Catalog. Service (workshop) Manual. Operator's Instruction Manual. 4152213 SK07-2 KOMATSU SK07-2 Skid Steer Loader. Spare Parts Catalog. Service (workshop) Manual. Operator's Instruction Manual. 4152214 SK07-3 KOMATSU SK07-3 Skid Steer Loader. Spare Parts Catalog. Service (workshop) Manual. Operator's Instruction Manual. 4152215 SK07-J KOMATSU SK07-J Skid Steer Loader. Spare Parts Catalog. Service (workshop) Manual. Operator's Instruction Manual. 4152216 SK07J-1 KOMATSU SK07J-1 Skid Steer Loader. Spare Parts Catalog. Service (workshop) Manual. Operator's Instruction Manual. 4152217 SK07J-2 KOMATSU SK07J-2 Skid Steer Loader. Spare Parts Catalog. Service (workshop) Manual. Operator's Instruction Manual. 4152218 SK09J-1 KOMATSU SK09J-1 Skid Steer Loader. Spare Parts Catalog. Service (workshop) Manual. Operator's Instruction Manual. 4152219 SK09J-2 KOMATSU SK09J-2 Skid Steer Loader. Spare Parts Catalog. Service (workshop) Manual. Operator's Instruction Manual. 4152220 SK510-5 KOMATSU SK510-5 Skid Steer Loader. Spare Parts Catalog. Service (workshop) Manual. Operator's Instruction Manual. 4152221 SK714-5 KOMATSU 4B15 Skid Steer Loader. Spare Parts Catalog. Service (workshop) Manual. Operator's Instruction Manual. 4152222 SK815-5 KOMATSU SK815-5 Skid Steer Loader. Spare Parts Catalog. Service (workshop) Manual. Operator's Instruction Manual. 4152223 SK815-5 TURBO KOMATSU SK815-5 TURBO Skid Steer Loader. Spare Parts Catalog. Service (workshop) Manual. Operator's Instruction Manual. 4152224 SK815-5N KOMATSU SK815-5N Skid Steer Loader. Spare Parts Catalog. Service (workshop) Manual. Operator's Instruction Manual. 4152225 SK815-5NA KOMATSU SK815-5NA Skid Steer Loader. Spare Parts Catalog. Service (workshop) Manual. Operator's Instruction Manual. 4152226 SK820-5 KOMATSU SK820-5 Skid Steer Loader. Spare Parts Catalog. Service (workshop) Manual. Operator's Instruction Manual. 4152227 SK820-5 TURBO KOMATSU SK820-5 TURBO Skid Steer Loader. Spare Parts Catalog. Service (workshop) Manual. Operator's Instruction Manual. 4152228 SK820-5N KOMATSU SK820-5N Skid Steer Loader. Spare Parts Catalog. Service (workshop) Manual. Operator's Instruction Manual. 4152229 SK1020-5 KOMATSU SK1020-5 Skid Steer Loader. Spare Parts Catalog. Service (workshop) Manual. Operator's Instruction Manual. 4152230 SK1020-5 TURBO KOMATSU SK1020-5 TURBO Skid Steer Loader. Spare Parts Catalog. Service (workshop) Manual. Operator's Instruction Manual. 4152231 SK1020-5N KOMATSU SK1020-5N Skid Steer Loader. Spare Parts Catalog. Service (workshop) Manual. Operator's Instruction Manual. 4152232 SK1020-5NA KOMATSU SK1020-5NA Skid Steer Loader. Spare Parts Catalog. Service (workshop) Manual. Operator's Instruction Manual. 4152233 SK1026-5 KOMATSU SK1026-5 Skid Steer Loader. Spare Parts Catalog. Service (workshop) Manual. Operator's Instruction Manual. 4152234 SK1026-5 TURBO KOMATSU SK1026-5 TURBO Skid Steer Loader. Spare Parts Catalog. Service (workshop) Manual. Operator's Instruction Manual. 4152235 SK1026-5N KOMATSU SK1026-5N Skid Steer Loader. Spare Parts Catalog. Service (workshop) Manual. Operator's Instruction Manual. 4152237 CL60-1 KOMATSU CL60-1 Shovel Loader. Spare Parts Catalog. Service (workshop) Manual. Operator's Instruction Manual. 4152238 CL60-2 KOMATSU CL60-2 Shovel Loader. Spare Parts Catalog. Service (workshop) Manual. Operator's Instruction Manual. 4152239 SD07L-3 KOMATSU SD07L-3 Shovel Loader. Spare Parts Catalog. Service (workshop) Manual. Operator's Instruction Manual. 4152240 SD10-5 KOMATSU SD10-5 Shovel Loader. Spare Parts Catalog. Service (workshop) Manual. Operator's Instruction Manual. 4152241 SD15-5 KOMATSU SD15-5 Shovel Loader. Spare Parts Catalog. Service (workshop) Manual. Operator's Instruction Manual. 4152242 SD23-5 KOMATSU SD23-5 Shovel Loader. Spare Parts Catalog. Service (workshop) Manual. Operator's Instruction Manual. 4152243 SD23-6 KOMATSU SD23-6 Shovel Loader. Spare Parts Catalog. Service (workshop) Manual. Operator's Instruction Manual. 4152244 SD23-7 KOMATSU SD23-7 Shovel Loader. Spare Parts Catalog. Service (workshop) Manual. Operator's Instruction Manual. 4152245 SD25-5 KOMATSU SD25-5 Shovel Loader. Spare Parts Catalog. Service (workshop) Manual. Operator's Instruction Manual. 4152246 SD25-6 KOMATSU SD25-6 Shovel Loader. Spare Parts Catalog. Service (workshop) Manual. Operator's Instruction Manual. 4152247 SD25-7 KOMATSU SD25-7 Shovel Loader. Spare Parts Catalog. Service (workshop) Manual. Operator's Instruction Manual. 4152248 SD30-5 KOMATSU SD30-5 Shovel Loader. Spare Parts Catalog. Service (workshop) Manual. Operator's Instruction Manual. 4152249 SG07L-3 KOMATSU SG07L-3 Shovel Loader. Spare Parts Catalog. Service (workshop) Manual. Operator's Instruction Manual. 4152250 SG10-5 KOMATSU SG10-5 Shovel Loader. Spare Parts Catalog. Service (workshop) Manual. Operator's Instruction Manual.